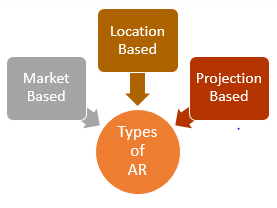 Augmented Reality is integration of computer generated enhancements like audio, video, image with user’s real world which makes it more interactive. AR aims to combine the physical world with digital world by superimposing virtual elements on real environment. The term “Augmented” means to enhance or to make something better. So, simply put its an expansion of virtual reality. Virtual reality recreates the virtual environment while augmented reality blends the virtual graphics on top of real world which imparts it more meaning. Augmented Reality is closer to the real world. Most of us have played the game Pokemon Go. It’s the prime example of AR technology. It went on to become the bestselling AR game. Augmented Reality is not only limited to gaming and entertainment rather it is now being used in healthcare, education and sports. Advertising industry is also keen to tap the potential benefits which this new technology offers. It’s one of the most talked about technology among the marketers and advertisers are focusing to avail it to attract more customers by generating interactive AR ads. Marker Based: This requires a marker, usually an image which when scanned via smartphone camera lets users interact by bringing virtual content to life. It’s similar to QR code scanning by the reader. e.g. – Washing machine AR ad when scanned by smartphone camera shows the features of product. Location based: This uses the GPS technology on the smartphones and offers information relevant to you by knowing where you are. It shows ads of brands and store which are near you. Projection based: Projects artificial light on real world surfaces and then lets the users interact with the real world. It senses human reactions like torch and shows immediate results. Augmented Reality lets the advertisers create a deeper and longer lasting connection with the consumers as customers interact with the AR campaigns. This innovative approach provides the companies better ROI as they get repeat customers. 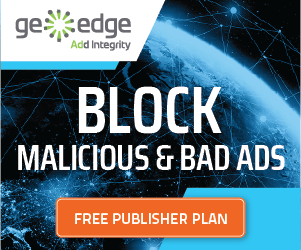 Cheaper than print ads- Getting yourself an advertisement in any bestselling magazine or newspaper would cost you a lot more than launching an AR ad campaign. Augmented Reality provides you more reachability due to large no. of online users as compared to print ads. Better sales- AR ads being interactive increases user engagement which in turn drives sales. With virtual try ons feature AR technology users can scan the product which allows them to virtually try the device and choose the most suited one. This ensures customer satisfaction and brings better revenue for the brand. Emotional connect- Unlike banner ads which users could only see; users can interact with AR ads which builds an emotional connect as users gets personally involved with the campaign. When you interact with something directly, it tends to stay in your head longer. Similarly, interacting with a product ad, you think about it far more and mostly end up buying it. E.g. : A new TV series ad, when scanned with smartphone camera, lets you watch the trailer and shows release date. Location based- Location based ads show elements on the smartphones which are near to your location and also show the route map to guide you to the place. For instance, if you are roaming in main market of London, your smart phone will reflect cafes, pubs, brand stores which are closer to you.